No matter where your Place is, there are things you can be doing to make it more healthy, cost-efficient, and sustainable. Oooh, lots of “Green Buzzwords” going on here. But going green isn’t about buzzwords. It’s about better living. And there’s a common misconception that going green is an “All-or-Nothing” proposition. Like you either have to ride the bus and wear Birkenstocks or else you’re carelessly throwing used plastic grocery bags out the window of your gas-guzzling vehicle. For most of us, green living at home is about small choices that add up to make a big difference. If we all stopped worrying about saving the entire planet and started worrying about being a little more conscious of our actions within our own family, we’d be better off. Because each household making small choices ADDS UP to an entire planet that is healthier and happier. So in our Going Green at Home section, you’ll find tips, tricks, and resources for what it means to go green. I also send out a Going Green at Home newsletter that you’ll want to check out! I usually add things in the newsletter that I don’t feature here on this website. You’ll also find money-saving deals and contests on occasion, so don’t miss out! Sign up for the Going Green at Home newsletter by clicking the button below. Even if you’re not in Flagstaff, this newsletter is for you! 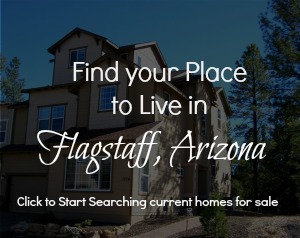 Also, don’t forget to visit our Going Green at Home Section on the Flagstaff Places site.